Rogaine is the ONLY FDA-approved over-the-counter treatment for stimulating new hair growth and preventing hair loss. Does Rogaine really work for regrowing lost hair? Rogaine is usually the most discussed treatment for preventing hair loss. 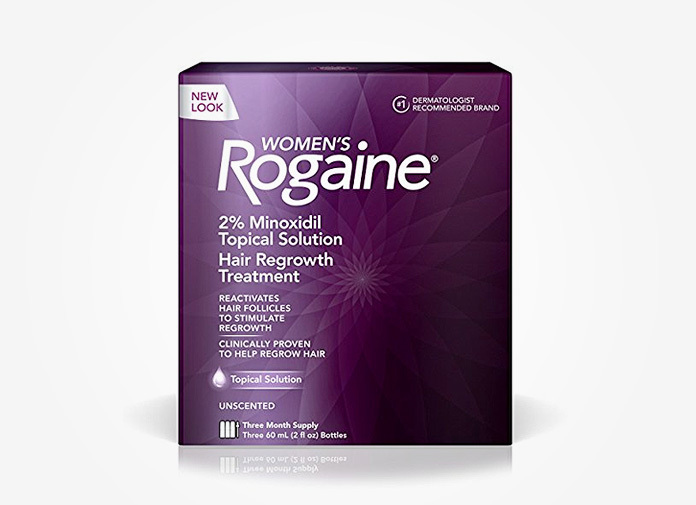 In this review, we will cover everything you need to know about Rogaine for Women, including before and after results from actual users, a list of side effects, and reviews. 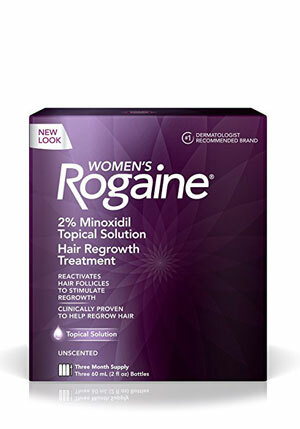 Rogaine’s main active ingredient (it has only one ingredient) is Minoxidil and it’s the “Minoxidil” that stimulates hair growth, not the product itself. When Minoxidil is applied on the scalp, it reactivates dormant hair follicles and stimulates regrowth. Minoxidil is the only FDA-approved over-the-counter ingredient proven to regrow your hair. It was Rogaine that first discovered the effectiveness of Minoxidil for hair regrowth and the company patented its ingredient and branded it Rogaine. Now that the patent on Rogaine’s main ingredient expired, there are many generic versions available for you to choose from. The latest one I found is from the hair care giant Pantene (discontinued). Pantene came up with its own hair regrowth product and the ingredient is exactly the same as Rogaine – Mionxidil for women. Is Rogaine better than any other hair loss products? 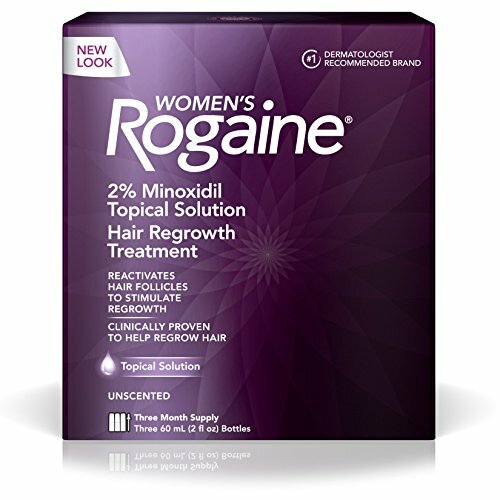 Medical ingredient wise, Rogaine (Minoxidil) is the only FDA approved hair loss solution for both men and women. In other words, it is very safe to use as a topical hair loss treatment. There is another well-known product called Propecia, but you need a prescription for it and it is not recommended for women. Now let’s talk about the result: According to Harvard Medical School, they tested 2 different groups to find out the true efficacy of Minoxidil. The first group tested resulted in 13% of women experiencing noticeable hair growth while 50% saw only minimal growth. In the second group, 60% of female noticed new hair growth. It took about 3-4 bottles to see the result: Most people didn’t see any result on their first or second bottle. Some mention that after using it for 6 months or longer, they regained almost all of their hair back. It regrew the lost hair: Many reviewers state this over and over – Rogaine helped regrow the lost hair, but Rogaine didn’t give more hair than what the users originally had before their hair thinning started. Came out as light colored fuzzy hair, but after a consistent use for 3 months or longer, those fuzzy hair strands turned into dark and normal looking hair shafts. A number of users mentioned that Rogaine made their scalp dry and gave itch tingling sensation. Made their hair flat and sticky: The solution for this is to blow dry your hair after applying it in the morning. Also, the hair dryer will help lift up your hair roots. Which one is better? Rogaine foam or liquid? As you can see, the biggest difference is the amount of Minoxidil. 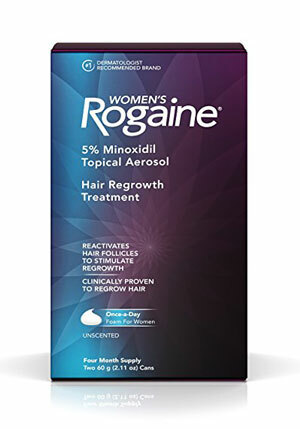 Rogaine foam for women contains 5% minoxidil, thus apply only once-a-day. On the other hand, the original formula, liquid, contains 2% minoxidil and recommends twice a day application. When it comes to scalp penetration, Rogaine liquid appears to give a better absorption according to Belgravia Centre. This may explain the fact that the foam treatment contains the higher dosage of minoxidil than the liquid version. Similar to other hair products for thinning hair, Rogaine will not work for everyone (if this was the case, hair loss would be a thing of the past). However, what makes Rogaine appealing compared to the other solutions out there is that Rogaine is proven to be the safest over the counter hair regrowth treatment backed by the FDA. A lot of users prove that it has helped them regrow their lost hair and are satisfied with the result. Have you tried Rogaine? Share your experience below. Thank you for this post. I have been reading lots of horror stories of women who used regaine and have aged 10 years because it caused their skin to be ruined… dark eye circles, sagging skin, enlarged pores etc. Do you have any thoughts?